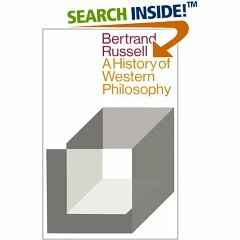 Find this book at Amazon.com | buch7.de | eurobuch.com | buchhandel.de | books.google.com ASIN=0671201581, Category: Philosophy, Language: E, cover: PB, pages: 895, year: 2000. "Of the great religions of history, I prefer Buddhism, especially in its earliest forms, because it has had the smallest element of persecution." -- Quote Bertrand Russell, What is an Agnostic?